Since it’s release in 2013 the controversial documentary Blackfish has inflamed audiences, provoking a boycott of the amusement park and aquarium super giant SeaWorld. In it, the company’s own former trainers and employees relate tales of SeaWorld’s negligent animal rights practices, suppression of information to the public and employees alike. Recent attempts to obtain more wild caught whales from overseas are also revealed as well as how all of these elements contributed to the deaths of four people by captive orca whales, three of them by SeaWorld’s whale, Tilikum. Photo above, of the underwater tube exhibit at The Oregon Aquarium called “Passages of the Deep” that used to be in Keiko’s the whale’s tank, by the author SAS. I recently went behind-the-scenes at The Oregon Coast Aquarium in Newport, Oregon, once home of the famous killer whale, Keiko, known for his appearance in Free Willy, for another side of the story. Somewhere amidst trying to untangle the gordian knot of acronyms representative of overseeing associations, information manuals, accreditation standards, survival plans, nationwide fisheries, let alone emailing every SeaWorld in the United States with no reply, and finally getting a personal tour of The Oregon Coast Aquarium, I finally got some answers. Erin Paxton, The Oregon Coast Aquarium’s public relations officer, would be my personal tour-guide at the aquarium. She was already waiting for me at the front door when I arrived, a nice young woman in an earth-tone dress with loose long blond curls and tanned skin. I had e-mailed her only a few days prior with inquiries into their facility and how it worked, wanting to see how it was different from the SeaWorld portrayed in Blackfish, if at all, and get some answers about aquariums in general, public relations style. The aquarium was busy on a Monday. I waited patiently for children on leashes to view the animals low to the floor before I maneuvered in for a quick look and moved on. I decided my mission was to remain objective before I decided one way or the other to swear off, not only SeaWorld, but zoos and aquariums everywhere. We continued navigating the seaside rock-like structures with tunnels weaving in and out showing above and underneath the water at each exhibit. Children waited their turn to press against the glass where seals swim only inches away from them. Parents waited for walkways to clear to take photos of their children in front of the glass. Like SeaWorld’s Tilikum, Keiko too, was originally captured from the wild, his journey taking him from his home around Iceland in 1979 to facilities in Canada and Mexico, and then finally to The Oregon Coast Aquarium to be prepared for his hopeful return back to the wild. The Keiko-Free Willy Foundation supervised him there, and attempted to coach him at becoming a creature independent of the need and want for human interaction again. This proved unsuccessful as, at one point, it was reported that Keiko was seen allowing children to ride on his back. Unfortunately, Keiko never found a permanent home with any one pod, and eventually succumbed to pneumonia and died in 2003, free around the seas of Norway. A monument was built in his memory, and marking the site of his burial in Halsa, Norway. So how do we decide what is right and wrong in the acquisition of whales today, not to mention how to treat them? The U.S. no longer allows for the capture of whales from the wild as it did before 1972, however, if facilities in the United States buy a whale second-hand from a country where such laws are absent, should this be allowed? How does the NOAA decide good buys from bad, buys that add to the practice of taking whales from the wild or buys that help whales already in the system that are too affected by human intervention? 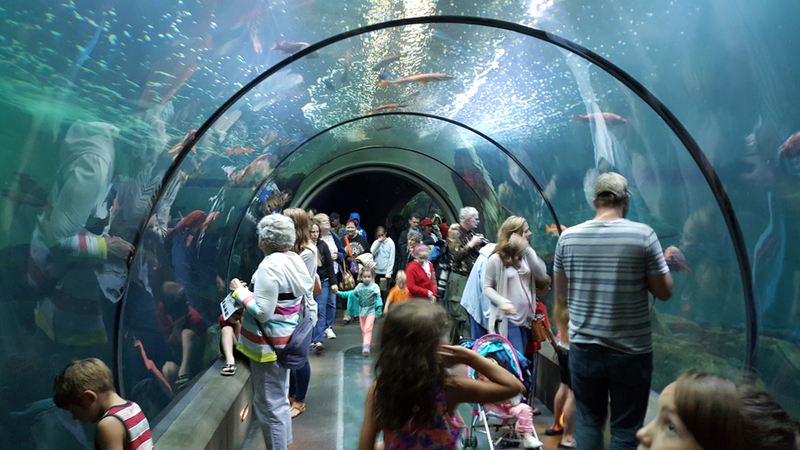 Many facilities in the U.S., SeaWorld and The Oregon Coast Aquarium included, are what is called “AZA accredited,” AZA meaning the Association of Zoos and Aquariums. This accreditation acts as a badge on display to the public, evidence the zoo or aquarium has gone beyond meeting the minimum standards demanded by U.S. law, and has agreed to abide by the higher quality of standards and regulations accorded them by the AZA. Blackfish shows us repeated instances of SeaWorld’s whales being isolated, disciplined for poor performance, and other violations of these AZA requirements. It must be asked, what is an orca or beluga whale to SeaWorld? How do we decide if SeaWorld is the pure, unadulterated evil Blackfish makes them out to be, or if all their donations, their giving aid to the environment, and their claims of “rescuing over 26,000 animals” negates the occasional or late-in-coming bad press? The Seaworld trainers interviewed in Blackfish were all in agreement about their former employer as an entity, that SeaWorld’s advertising and marketing of their whales appear to always come before the preservation of their nature. As Erin and I continued to move through the end of Keiko’s old home, I remember coming here when I was eight years-old, utterly awestruck and filled with as much reverence as a child that age can be. I remember that during the multiple childhood visits I took here, that I never once saw Keiko being made to do any type of “show,” work for his food, or be punished for not performing a certain way like the whales at SeaWorld have reportedly been subjected to. The most I’ve seen the animals here at The Oregon Coast Aquarium do for the public’s benefit is eat at feeding time, display the few positions they are trained to do for husbandry or veterinary purposes, and possibly a few sea lions giving a kiss or two. “We are not-for-profit and SeaWorld is for-profit,” Erin offered, definitively, “We want to represent the Oregon coast, only.” While The Oregon Coast Aquarium has worked with SeaWorld in the past and they are both members of the AZA brotherhood, they remain separate entities with clearly separate missions and histories, one brought about by grassroots efforts and the other by a business giant. Is it this title of “for-profit” or “not-for-profit” that determines the conditions of aquariums and zoos everywhere, how the animals are treated, or how they were obtained? Is that how we should decide which to visit or not to visit? Or should care be a side-note in this debate while we ask ourselves instead, how can we keep whales wild? 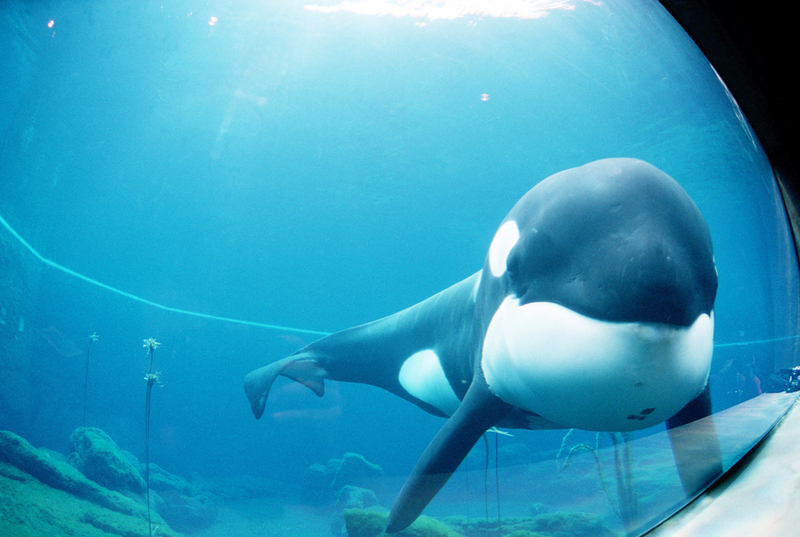 Undoubtedly, Blackfish will leave its viewers with a want for accountability for what they’ve seen. The dollar shouldn’t be the driving force behind animal conservation and law, but if there’s a niche to fill, businessmen will find it. Even though the film left me with more questions than answers, I know after watching it, for a fact, whether I will join the boycott on SeaWorld or contribute to keep their niche of business alive, and I’m sure anyone else who watches it will know, too.